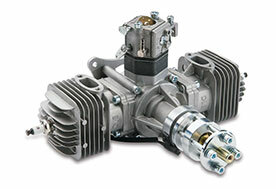 If you are looking for smooth, consistent performance in a 60cc engine, look no further. The DLE-60 Twin delivers that and more! 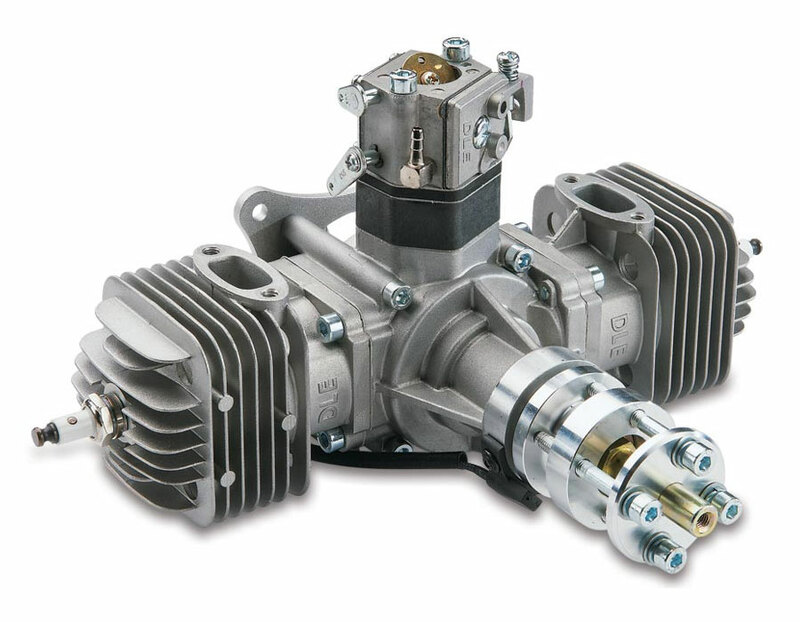 Its twin opposed cylinders provide very smooth operation, while keeping weight low and producing the power your bird requires. 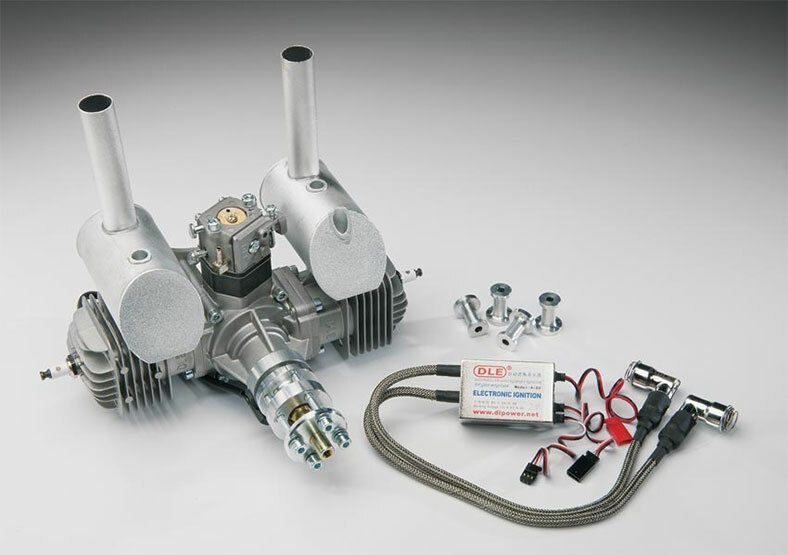 Electronic ignition, spark plug and Pitts style mufflers are included. A generous package of "extras" and electronic ignition for starting ease and top performance make the DLE-60 an attractive alternative to glow power and a solid buy for value and performance.